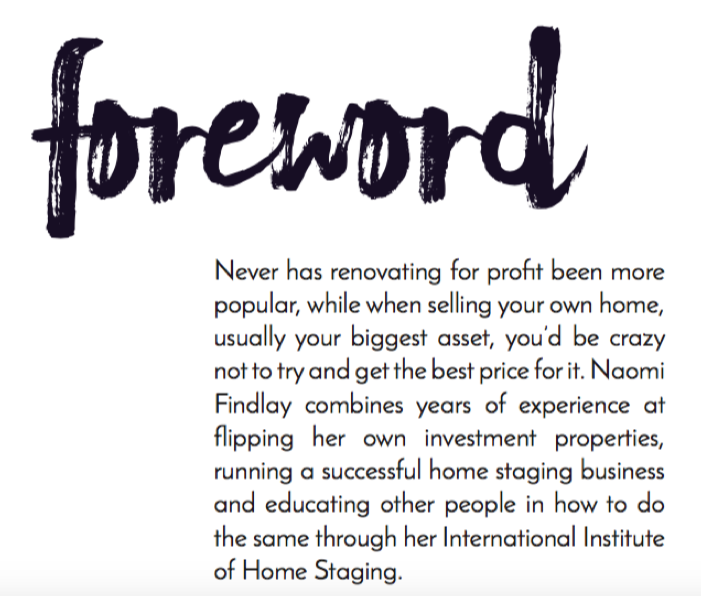 “Sell Your Property for More Money” is jam-packed full of all the information you need to know about Home Staging. Naomi’s book is divided into nine chapters to increase your ability to process the most important elements of Home Staging. 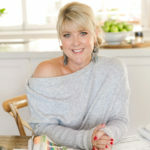 Naomi Findlay is the founder and principal of International Institute of Home Staging, Silk Home and Naomi Findlay Pty Ltd.
Naomi is a regular contributor to realestate.com.au and RenoAddict.com and has also been featured in Home Beautiful, Smart Property Investment, Australian Property Investor Magazine, News.com, The Daily Telegraph, Newcastle Morning Herald, Interiors Addict, She knows, Women’s Agenda, Sky News, Dear September and Sold Digital Blogs. Naomi has a PhD from The University of Newcastle NSW, post graduate qualifications in adult education and has been awarded teaching awards by the University of Newcastle and the Australian College of Education. Naomi is Australia's Rapid Renovation Expert having renovated over 1110 properties. For a limited time only, you can purchase a pre-released signed copy of Naomi’s book here! Purchasing this copy will give you instant access to all you need to know information about Home Staging in Australia.